David Canter, Executive Vice President and head of the RIA segment at Fidelity Clearing & Custody Solutions, joins Mindy to explore the mindset and motivations of the increasing number of advisors making the move to independence, as well as the expanding role custodians play in the space (Hint: It’s no longer solely about safe asset custody). The key factors behind the momentum of multi-billion dollar teams moving to independence. The ability to enhance efficiency and client experience through customized technology solutions, products and more. The difference between thinking as a fiduciary and actually acting as a fiduciary—and how that matters. The real benefits of independence for clients and advisors alike. The questions you need to ask yourself to understand if independence is right for you and your clients. As an added bonus, David shares a template for advisors on how to explain a move to independence to their clients, communicating how such a move will help them realize their financial and life goals. 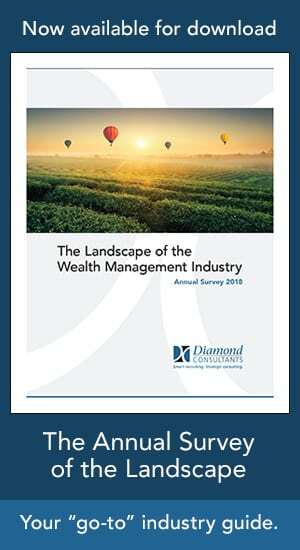 And because David believes that the RIA space will only continue to grow, that’s a conversation we expect more and more advisors to have with their clients in upcoming years. David Canter is executive vice president and head of the registered investment advisor (RIA) segment for Fidelity Clearing & Custody Solutions, the business that offers a comprehensive clearing and custody platform, trading capabilities and business process and operations consulting to banks, broker-dealers, registered investment advisors, professional asset managers, strategic acquirers and retirement advisors and recordkeepers. Prior to his current role, Mr. Canter served as executive vice president of Practice Management and Consulting for Fidelity Clearing & Custody Solutions. He assumed this position in August 2010 and was responsible for leading the development of a comprehensive Practice Management program structured around helping advisors accelerate growth, streamline their operations and manage risk. Previously, Mr. Canter served as executive vice president and chief operating officer for Fidelity Institutional Wealth Services (IWS) beginning in September 2009. In this role, he was responsible for the oversight, efficiency and effectiveness of client-related operational processes. He was also the business lead coordinating legal, risk and compliance activities. 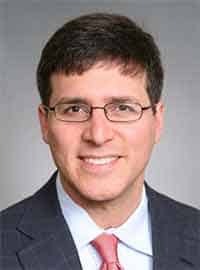 Prior to joining Fidelity in 2009, Mr. Canter managed certain operational functions and vendor relationships and served as chief legal and compliance officer for Post Advisory Group, an institutional investment advisor in the high yield realm. During an eight year tenure with Charles Schwab & Co. beginning in 2000, Mr. Canter held various management positions of increasing responsibility within the firm’s RIA business, including a corporate counsel role; vice president, Schwab Institutional Trading & Operations (SITO); and head counsel to the Schwab Institutional business. Previously, he held positions with the Quellos Group, an investment adviser focused on the fund-of-funds business, and the New York Stock Exchange Division of Enforcement. Mr. Canter received his bachelor of arts degree in political science from the University of Wisconsin in 1990 and his juris doctorate from the University of Baltimore School of Law in 1993. He currently holds his FINRA Series 24 license and is a member of the State Bar of California.